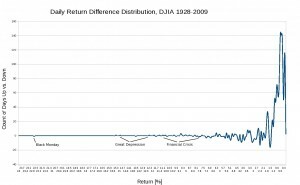 The financial market meltdown has caused many to re-evaluate their models for expected market returns. In reality, though, the recent market swings are not out of the ordinary in terms of what has been observed in the past. 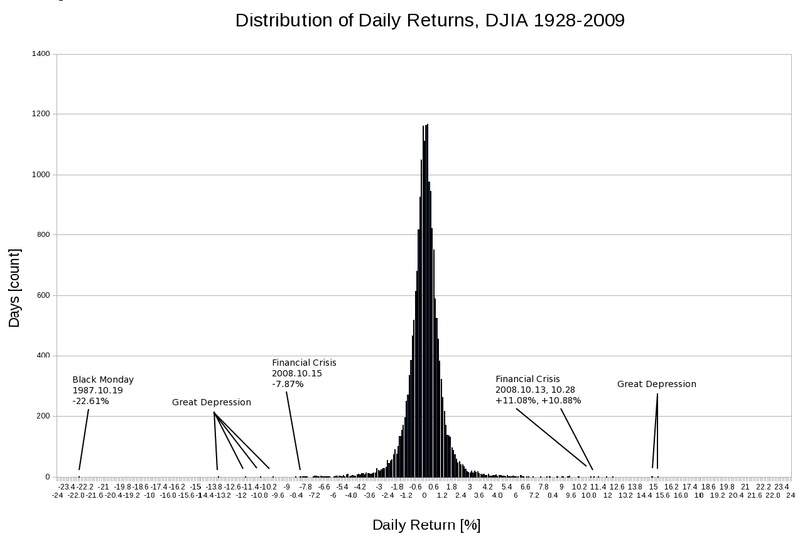 They are still within the fringes of the ‘long tail’ of the distribution of daily market returns. 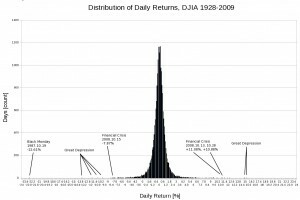 If there is an unpredictable and high impact event, waiting to spring on the market and challenge the perception of normal or ‘expected’, the “dot-com” bust, 9/11 and financial market meltdowns have not revealed any. None have been a ‘Black Swan’, to use Nassim Nicholas Taleb‘s term. 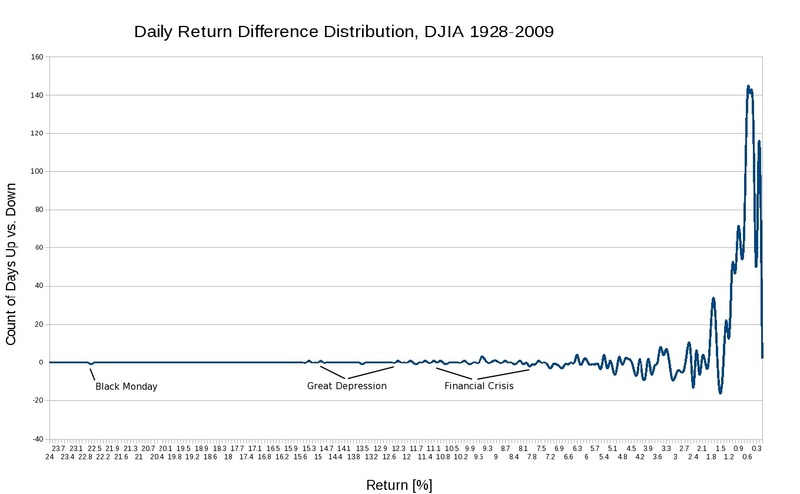 When it comes to the financial markets, if there is a large-impact event which requires counter-factual reasoning to model or comprehend, it has not yet occurred.